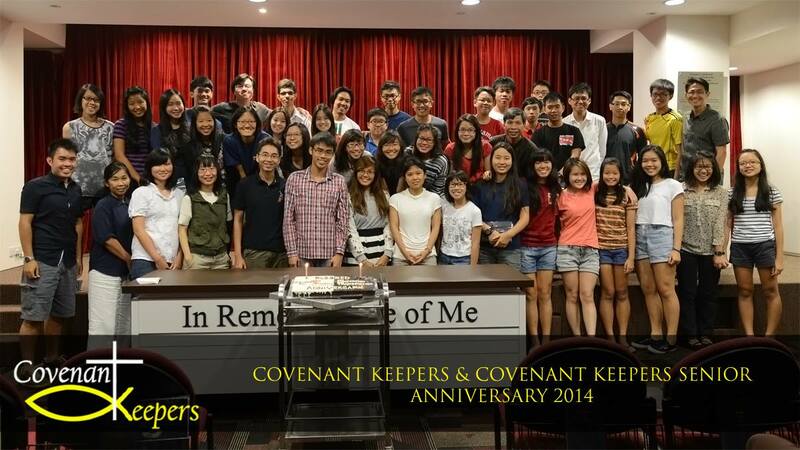 Covenant Keepers was founded in 2000 as the youth group for the young people of Covenant Evangelical Reformed Church in Singapore. In 2008, the group was divided into Covenant Keepers, focusing on youths aged 13 to 16, and Covenant Keepers Senior, for youths aged 17 and above. The two youths groups continue to work closely in planning activities, enabling youth of different age groups to be instructed at a suitable level while encouraging fellowship transcending age boundaries.